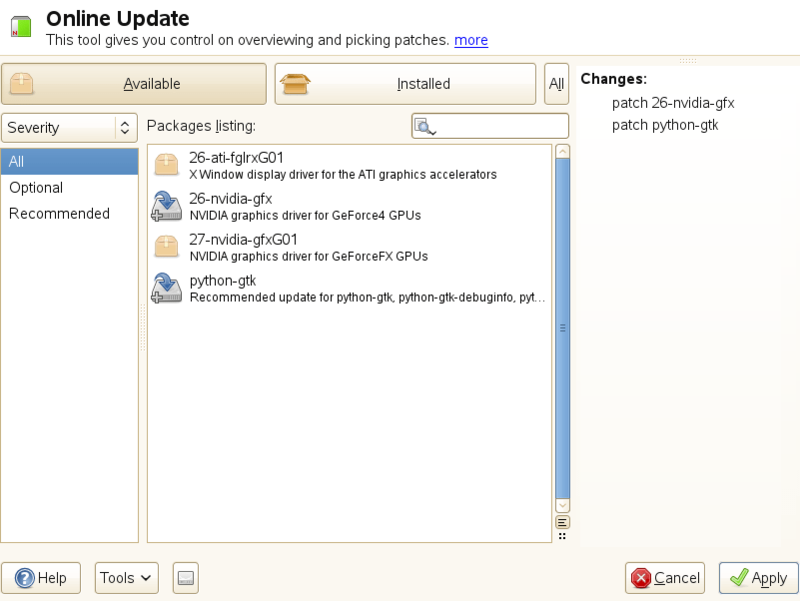 Novell version 3.11 dynamic patches. "Registerscreeninputroutine called with invalid screen id"
when run on the 1000 user version. Note that the replacement nlm is not 1000 user compatible. Abend "Reply keep given packet that is too long"
that shipped with the 386 Security files. though, no actual problems have been encountered. OS2OPNFX.NLM added 1 and 1000 user support. required when loading the dynamic patches (nlms). 3. Each of the patches included in this release is listed below. This updated version will now work with BNETX. DAI call DeviceIO was loaded. process was prematurely awakened during Delay." the allowable limit was set at 4,202 bytes. link error detected in NCompleteRequest"
customizing the information for each connected board. "load rplenfx size 2048," at the console prompt. Each of the dynamic patches listed above are intended for 386 v.3.11. Loadable Modules and require PATCHMAN.NLM v2.20 or later in order to load. compatible with other static patches. INDSKFIX SERVER.EXE or MPRPSFIX SERVER.EXE.